Early in July (at AnthroCon, in fact), FurPlanet will release a new full-color furry portfolio/magazine simply titled Women of Fur, edited by Marilyn Cole (also known as Sheppymomma). Here’s the idea: “Women of Fur is an collaboration between 12 different artists. Each artist chose to illustrate an empowering word that any woman can stand for. This collection of work is out to showcase the female form, anthro art as fine art, and the problem solving process involved in illustration.” Got that? 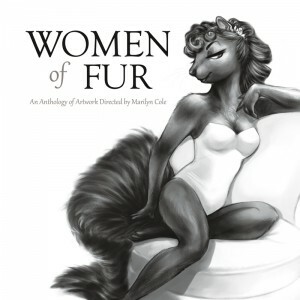 Various of the artists involved have put up links to their pieces on their Fur Affinity pages, and the portfolio is available for pre-order at FurPlanet’s shop site.